PARTICIPATE! Attend Regular Ulster County Legislature and City of Kingston Council Meetings. How can we improve local government? 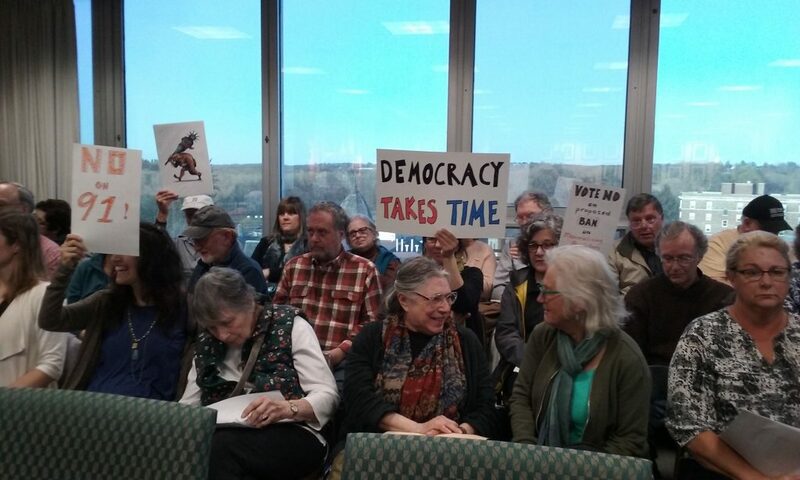 By becoming more civic-minded rather than a single issue participant and attending regular, monthly meetings of both the Ulster County Legislature and City of Kingston Common Council. That’s a potent and simple place to start. To help you to get on your way, KingstonCitizens.org has put together a schedule of 2017 for both elected bodies. “Many hands make light work” as they say. If each of us attended one or two meetings a year and shared what we witnessed – the landscape would look and feel very different. Here are simple steps you can take to become a more engaged, local citizen. Attend meetings. Make sure you check the calendar prior to attending, as all dates/times are subject to change (see below). Make sure you add the dates to your personal calendar so you are reminded of your commitments. Write a one-page (or more) summation of your experience. What happened that evening? How many citizens were present? Did you speak during public comment? What issues were discussed? What significant decisions were made? What did you learn and what outcome would you like to see on the issues that were discussed that evening? Submit your piece to KingstonCitizens.org: rebecca@kingstoncitizens.org to be shared in our “Citizen Opinions” section (rules apply). We can help you to identify your council and legislative representatives and will encourage you to send a copy of your report directly to them as well. VIEW: Visit this link and choose dates and times that work for your schedule. VIEW: Check the Ulster County Legislature Calendar a week prior to your meeting. Dates/times may be subject to change. You can also access an agenda at the legislative site. VIEW Visit this link and choose dates and times that work for your schedule. VIEW: Check the City of Kingston municipal calendar a week prior to your meeting. Dates/times may be subject to change. You can also access an agenda at the City of Kingston website. If you have any questions, please don’t hesitate to reach out. Join us in becoming familiar with local government. VIDEO: The Ulster County Legislature Bans Memorializing Resolutions. Last evening, with a 13/9 vote, the Ulster County Legislature banned memorializing resolutions. Although our group is deeply disappointed in the outcome, we will apply our new knowledge about the legislature to our work throughout the remainder of the year and beyond. Outside of a ban on memorializing resolutions, we learned that Local Law 18 from 2016 (Law Prohibiting Discrimination on the Basis of Gender Identity) had been held back in the Laws and Rules Committee for over a year. In other words, a simple public hearing on transgender rights was stalled and in essence, denied. It was an evening that left me questioning motives. 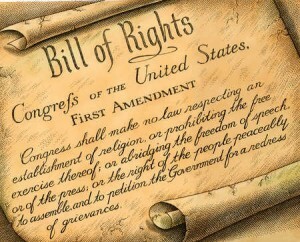 Why would our elected officials wish to limit free speech? Or deny the public a chance for public comment on gender equality? Or, be opposed to wanting to ensure “protection, order, conduct safety, health and well-being of all persons living in Ulster County”? I haven’t any answers, only a sense. Control and fear. Both will wreck havoc, too. The public must remain diligent. KingstonCitizens.org is seeking volunteers who are interested in attending monthly Ulster County Legislature meetings and report back to the public via KingstonCitizens.org. It’s our goal to build a larger base of public participation and, as always, encourage new potential candidates. All legislature seats are up for election in November, 2017. Special thanks to Clark Richters of the Kingston News for helping us to document the evening. FAQ Sheet and Call To Action: Proposed Ban on Memorializing Resolutions Vote April 18. Plan to attend the next Ulster County regular legislative meeting on Tuesday, April 18th at 7:00 pm at the Ulster County Office Building located at 244 Fair Street, 6th Floor in Kingston, NY. Arrive at 6:30 pm to sign-up to speak and to get a seat. Citizens are encouraged to create a two (2) minute testimony that is respectful and succinct. In March of 2017, Resolution No. 91, a proposed ban on memorializing resolutions, had its first reading (see video below). In order to change a local law, that’s step one in the process. On April 18th, the resolution will be read a final time before it goes to vote. Is a letter from the legislature as effective as a memorializing resolution? No. Memorializing resolutions must be submitted to the Clerk of the Legislature by the sponsor(s), along with all other business of the session, by a specific deadline. The appropriate standing committee is chosen based on the issue. It is placed on the committee agenda and discussed at the regularly scheduled meeting, which is open to the public. The members of the committee have the opportunity to discuss the MR in committee before voting to send it to the “floor” of the legislature for a vote in the upcoming session. A letter is not an act of the legislature that invites group discussion in committee, requires a vote by that committee to be sent to the floor, and is then a part of the public process where the public sees the memorializing resolution and can attend the session to weigh in. Why do proponents of the ban on Memorializing Resolutions claim that they take up too much time during regular legislative sessions? In 2016, the rules were changed prohibiting discussion on Memorializing Resolutions during the legislative session. However, procedure allows for members to call for a “long roll” (i.e., a one-by-one vote) so that they may speak on the issue. KingstonCitizens.org believes that engaging in debate in a way that represents and involves the public is the legislature’s business. They are protecting our “right to petition” by creating an opportunity for our voices to be heard and for our petitions to have a real forum. A ban on memorializing resolutions discredits public participation, civic dialogue, due process and the First Amendment. Why are memorializing resolutions important? Memorializing resolutions are statements of principles that do not become a local law or policy. They are “non-binding”. It is, effectively, a petition by one legislative body to other legislative bodies and lawmakers to provide a mechanism that allow citizens and the legislature to take a stand on important issues. Why do the ban’s sponsors claim that Memorializing Resolutions have been used as a political tool? The sponsors have said that memorializing resolutions were used recently by the Democratic Caucus to polarize the legislative body over issues we have no control over. Memorializing resolutions are a governing tool. Governing tools are non-partisan. Two controversial memorializing resolutions were recently sponsored by Republicans and passed by the majority of the Ulster County Legislature. One, in fact, just occurred in March of this year. It was Resolution No. 92 “Requesting The New York State Legislature Introduce Legislation Expanding The Hate Crimes Law, New York Penal Law §485.05” (March 22, 2017). The other was Resolution No. 253 “Opposing The Process Of Enactment And Certain Provisions Contained Within The New York SAFE Act” (June 16th, 2015).